By Allan Fox: The British Boxing Board of Control may choose to ban Dereck Chisora for life for the disgusting post-fight brawl with David Haye that took place last Saturday night in Munich, Germany. Chisora had been beaten by WBC heavyweight champion Vitali Klitschko by a 12 round decision on that night, and fought surprisingly well. Smith says he’ll take all the information that he collects and will meet with the Board with the info to see what happens. 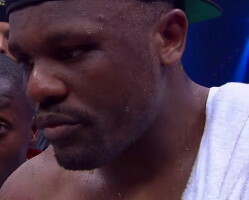 Chisora will likely have to meet with the Board to explain his situation and from there a verdict will be rendered. It’s highly doubtful that Chisora will receive a lifetime ban because he’s got fairly large following and is one of the top heavyweights in the UK. If Chisora receives a lengthy suspension of a year away from boxing, he may need to make a decision about whether it might be better for him to move to another country to pick up a boxing license over there. Losing a year out of ones career can have a really huge impact due to the short career span for most fighters. He can’t just sit and do nothing for a year and come back and be fighting on the same level as he is now. By the same token, if Chisora is permanently banned from boxing in the UK, he’ll have to move to another country to resume his career or just take the punishment and look for a regular nine to five job outside of the ring.